A Perfect Billing Solution for your shop. 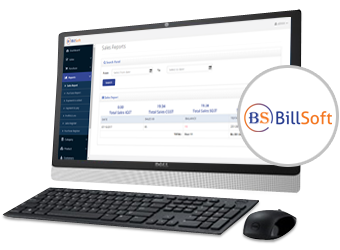 Shop billing software designed to meet the fast billing of purchase and sales of different shops which is very convenient and reliable and fast, suitable in general store and retail shops etc. Here it have provision for reverse and forward billing system which you can choose whichever suits, Forward billing system bill calculation decides on basic rate of product where as Reverse billing system calculation decides on net rate and basic rate automatically calculated. In every sales or purchase of goods it tracks the payment logs of customer, so it easy to track pending balance. It also saves time while adding products, instead of adding product one by one , you can have provision for upload bulk products through excel. Discount provision available for order management. Different report are available to track every order and purchase, also tracks all GST data. Quick bill : Provide feature very fast way of billing and smooth handling. Reverse and forward billing system combined, you can do whichever you want.